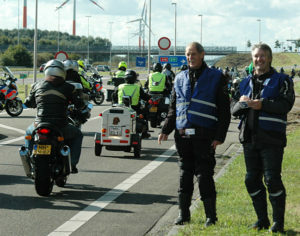 Dolf Willigers, General Secretary of FEMA, the Federation of European Motorcyclists’ Associations highlights the critical work done by volunteers in protecting the freedoms enjoyed by riders across Europe. A Dutch national, Dolf has a legal and economics background and worked for a long period as a business controller in the Netherlands. 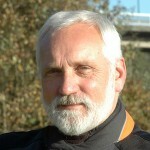 He has been a rider for many years and became involved in the Motorrijders Actie Groep (MAG) in the Netherlands in 2001. Dolf has written extensively on motorcycling and policy issues and is editor of Mag-a-zine, the periodical of MAG NL. I’m one of the few professionals that work for you. As General Secretary of FEMA my work is advocating motorcyclist interests. Not exactly an eight to five job in the office, but still something I deal with many hours on every day and get paid for. The money for my salary and expenses comes from the national motorcyclists’ organizations, FEMA has no other source of income. The national organizations are very different in size, in the way they are organised and in their activities. Finances mostly come from contributions, although some organisations have other incomes too. But one thing they have in common: the main part of the work is done by volunteers. None of the organizations that are member of FEMA, large or small, could even exist without the work of their volunteers. They are in the boards, they write articles, they give instructions on riding courses, they represent the organisations at meetings with municipalities or road authorities, they man the stands on the motor shows et cetera. The result is that we all do a pretty good job in advocating the rights of the riders. We’re still there, we are still a – be it small – part of the transport policy of many cities, countries, even of the European Union. Thanks to the work of the national organisations and FEMA, roads are getting safer: motorcycle protection systems are installed on road site barriers, in many countries the feared cable-barriers are banned, in many countries filtering is allowed these days, in some countries riders are allowed to use the bus lanes, road authorities pay attention to the grip resistance of road markings, potholes are repaired et cetera. All these things would not have been done, or at least to a lesser extent, without the work of the motorcyclists’ rights organisations. Of course I can continue with all the threats and hazards that we, motorcyclists, have to deal with: bans to enter cities or use scenic roads, automatic driving vehicles, environmental demands, the – compared to cars – smaller decrease of road fatalities and serious injuries, costly mandatory technical inspections, just to name a few. There is still a lot of work to do and then the question arises: who is going to do this? Most national organisations deal with decreasing membership numbers, which means less income and less possibilities to hire people to do the work. At the same time these same organisations have less volunteers to rely on. The ones that are left over have to do more and more. Trust me, I know what I’m talking about: not only am I a professional, but as a long standing board member of MAG Netherlands I’m also a volunteer. So next time when you pay your yearly fee to your national organization, please do not only think about what your organisation does for you, but also what you can do for your national organisation and for your fellow riders and yourself: become a volunteer and be part of that successful army of motorcyclists’ rights fighters. As a founding member of FEMA, MAG Ireland (The Irish Motorcyclists’ Association) has worked together with other European national riders organisations to contribute to and benefit from FEMA policy across a wide range of issues. MAG Ireland is a national delegate member of FEMA and sees the European co-operation of like-minded motorcyclists groups as the most effective and efficient way to represent the interests of Irish motorcyclists at a European level. You can help to promote and protect Irish Motorcycling by joining MAG Ireland today. The more members we have, the stronger our voice, and the stronger yours. If you’re not a member, isn’t it time you asked yourself why?